US e-commerce is boring. It is led by Amazon, an everything store consisting of hundreds of millions of products, optimized for price and convenience before anything else. As Henry Davis, COO of Glossier, put it the Amazon paradigm is based on three core principles: fewer clicks, fewer dollars, and fewer delivery days. Millions of customers receive a brown box every day, often having forgotten what they have ordered the night before. Amazon is a utility, transactional commerce. Brands like Glossier argue that shopping should have more joy. Glossier is a popular beauty brand built on social media and direct-to-consumer. Together with other digitally-native vertical brands like mattress Casper and glasses Warby Parker they are driving the future of commerce. The key force behind them is that the brand has a connection with a consumer. Consumers follow those brands on social networks and buy directly from them, allowing the brand to push content directly to the customer. The direct-to-consumer model sounds perfect for both the consumer and the brand. This has meant that there is no talk about the future of commerce without mentioning the success of the before-mentioned brands. They bring back the joy to commerce. But do consumers want joy in shopping? Or more specifically, how many consumers want joy in shopping? The narrative from direct-to-consumer brands is that Amazon is boring, they are not, and thus that is better. 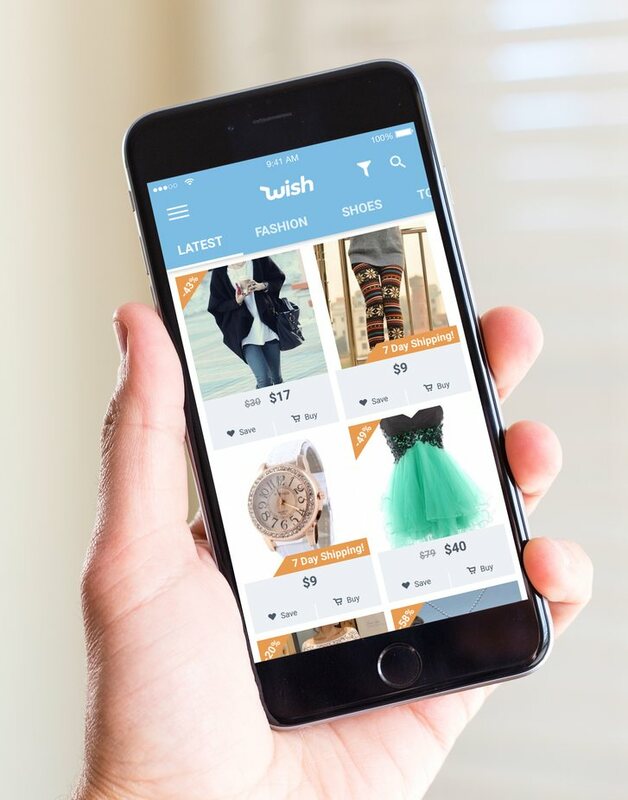 Launched in 2011 Wish shopping app is the counterexample of this vision. Wish allows consumers to buy deeply discounted goods from China, directly from sellers or manufacturers there. They are a private company thus few metrics are available, but by most estimates they are approaching $10 billion in worldwide GMV. All from selling cheap questionable-quality products from a 200 million strong catalog contributed by over a million of sellers. Most of which, of course, are based in China. “I think people misunderstand the demographics of this country and places like Europe” said Peter Szulczewski, CEO of Wish, implying that not everyone wants or can afford to pay for convenience, for services like Amazon Prime. Amazon has over 100 million Prime members worldwide, paying as much as $119 a year for the convenience of free two-day shipping. Wish is not competing with that. They instead prioritize price over brands and fast delivery. Wish does have US brands too on the marketplace and has been actively recruiting more, but it continues to be strongest in selling $1 iPhone cases and $2 sunglasses. Their growth is also unsurprisingly fueled by advertising, there doesn’t appear to be much organic growth. Which all raises questions about their sustainability long-term. It’s unclear how much of the Wish’s inventory is counterfeit products either. Or if consumers shopping on the app care. If anything Wish is proof that not all consumers want Glossier and Warby Parker experiences. Not all consumers want to follow brands on social media. Sooner or later it is the consumer who is paying for the brand’s social media posts. Many care the most about price. For them commerce being boring is not a problem. Boring makes it more affordable. This is why Amazon is the giant of e-commerce too. It sells most things most people want at a good-enough price point. There is no joy to it, but their growth is an indicator that for many millions of consumers there are more important things in shopping. So much of conversations in retail are opinions. This is one of them. From a data point of view - a way to avoid subjective opinions - the billions of sales on Wish is a consumer that should not be forgotten. But it’s not really about Wish the app, it’s about why and what those consumers are buying. The future of commerce is not just direct-to-consumer, as it is not just cheap stuff from China. There is going to be more sunglasses sold by future Warby Parkers, just like there will be more $2 sunglasses sold directly from China. Last year Warby Parker sold an estimated $250 million worth of glasses. Luxottica Group S.p.A., an Italian eyewear company and the world’s largest company in the eyewear industry which owns brands like Ray-Ban, Persol, Oakley, LensCrafters, Sunglass Hut, and many more, sold close to $11 billion worth of products. Luxottica sales continue to grow because most people are not Warby Parker customers. In the end, you get what you pay for. And not everyone can pay the same.